Athens (Αθήνα) is the beating heart of Greece today, but for a splendid moment 2500 years ago it lit the light of western thought that has been burning brightly for centuries across the globe. Democracy, Logic, the worth of the “individual” human, were among some of the most cherished concepts born in Classical Athens, and our guide to Athens here emphasizes this historical significance of the city. Athens, the capital of Greece, is a large modern city which houses about 40% of the Greek population. 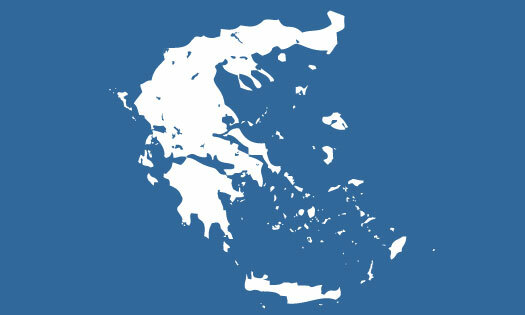 4.5 million inhabitants out of Greece’s total of 11 million call Athens their first residence. As such it is a busy city with lively streets, a full cultural calendar, and a healthy nightlife. The city is the busiest transportation hub in Greece, so most likely Athens will be your first experience of the country, either as a short stop on your way to a Greek island, or as your final destination in itself. Either way, it can be a rich experience, and an especially unique one if you are interested in ancient history and culture. We have chosen four venues here as the best to see in Athens because they offer a unique experience, the likes of which you can never match in any other city on this earth. You can see beautiful architecture and city planning in other world cities, and more fashionable districts in other country capitals. You can find more luxurious hotels, beautiful gardens, exciting amusement parks, exotic beaches, cleaner streets, wilder parties, or exuberant shopping elsewhere. You can also find “best of Athens” lists better driven to promote sales by travel agents all over the internet. But you will never be engulfed by the birth and purity of western civilization as you can in the Athenian streets. To be in Athens is to be engulfed in 3000 years of history. That’s why our choices here have a vivid, ancient hue. The Agora, the Acropolis and the two major museums offer a glimpse into a civilization that flourished in ancient times and which changed the world with it’s cultural output. The Acropolis of Athens is a rugged rock in the middle of the city and in ancient times it housed some of the most beautiful buildings and sculptures on its plateau. It also functioned as the spiritual and financial center of a city that became the foundation of western civilization. The best way to get to the Acropolis is by Metro. Get off at the Acropolis station and walk the short distance to the entrance. The evolution of ancient Greek art, and it’s role as a beacon for the subsequent artists of all ages is clearly outlined in the Acropolis museum. There, observe the morphing of the enigmatic smiles to an austere gaze of the Kore (archaic female statues), and the transformation of generalized geometric forms of earlier Greek sculpture to fluid anatomical features on the human bodies of the post-500 BCE eras. To get to the Acropolis museum, use the Metro and get off at the Acropolis station which is located on the NE corner of the museum complex. Below the Acropolis rock you can wander around the streets of the ancient Agora of Athens (αγορά = marketplace). 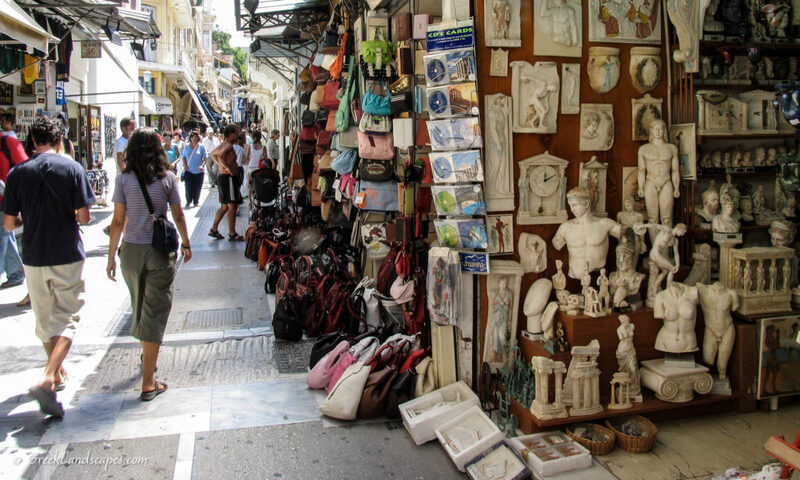 This lively, ancient marketplace was the heart of the thriving city of Athens and. it functioned both as an economic engine and as an intellectual playground where concepts such as Democracy were born. Within walking distance to the east lay the ruins of the later Roman Agora and Hadrian’s Library. They both intertwine with the Monastiraki area where you can stay, eat, and shop in the outdoor bazaar and restaurants at the feet of the Acropolis rock. To visit the Agora of Athens, use the HSAP train (connects with the Metro) and get off at Thesion. While in Athens, don’t neglect to visit the National Archaeological Museum which houses some of the most spectacular artifacts from many ancient Greek sites. While the recently built Acropolis museum takes the lion share of tourist publicity (for good reason), the National Museum’s collection will give you a wider overview of the 2000 years of ancient history. Its collection of Mycenaean, Archaic, Classical and Hellenistic art is truly superb. The museum houses art from prominent archaeological sites throughout Greece, such as Epidaurus and Dodona. It also displays the best known artifacts from the Cycladic civilization, and its collection is equaled only by the Museum of Cycladic Art, also located in Athens. You can stroll through its expansive collection in an hour or two, but multiple visits are a must for more serious study of ancient Greek art. To visit the National Museum, use the HSAP train (Metro) and get off at Victoria station. Then walk about five minutes to the museum. The area around Victoria has become a bit “gritty” in the last ten years, so alternately, you may opt to use a taxi from you hotel to get to the museum. Besides the above must-see ancient sites and museums, Athens offers a number of venues that showcase different parts of it’s 4000 year old history. All of the above, with the exception of Pireas Museum, Sounio, and Lavrion are located around the historic center of Athens, and within reasonable walking distance from each other. You can easily visit them all in a couple of days. Athens has many places designed for people to stroll leisurely, many of which offer extensive pedestrian streets that offer reprieve from the traffic and noise. Nice places to walk around, have a drink, coffee, or a meal include the Thesion area, Monastiraki, Plaka, Psiri, Kolonaki, and Syntagma square. All are accessible by Metro. You would need to walk a little farther, or take a taxi to visit Lykavitos hill for panoramic views of Athens. Walking around the historic center of Athens is a unique experience that can be enhanced if you know a little bit about the monuments and sites. So, we created several virtual walking tours to help you visualize yourself as you plan your trip, or to follow on your cellphone as you walk around Athens. These free, self-guided walking tours are designed to take you through the most important and historic places of Athens. See our free, self-guided walking tours in the historic center of Athens. Omonia square: It was the heart of Athens up to the mid 90’s, and many tourist guides still feature it as an attraction and a destination. But the area around Omonia has taken a turn for the worst in the last fifteen years with high crime rates and grimy streets unsuitable for leisurely walks even in the middle of the day. You can read more about the subject in our Safety in Greece page. The good news is that there is absolutely no reason to visit Omonia, so you won’t be missing much by not including it in your itinerary. You can always choose one of the numerous beaches around Attica for a relaxing day. They are not of the quality you find on the islands, but many are more than pleasant to spend a day at. A good alternative is to choose a hotel with a swimming pool. Look for hotels around the center of Athens that have a rooftop swimming pool and bar. This way you can cool off with the Acropolis in your sight. The zoo of Athens, or Attica Zoological Park, is a pleasant place to spend an afternoon, especially if you are traveling with children. Attica Park is located in the outskirts of Athens near the airport, so it could be a good place to visit if you have a long layover. The zoo exhibits a variety of animals and exotic birds, in a pleasant environment that allows the animals to live in relative comfort in places approximating their natural habitat. There are several species native to Greece on display, like the Skyros horse, but there is no dedicated “Greek fauna” exhibition. The zoo was built in 2000 by Jean-Jacques Lesueur, and it belongs to the European Association of Zoos and Aquariums. As such, it conforms to the association’s standards for the humane treatment of the animals, and the education of the visitors. The ideas that were developed in ancient Athens are widely considered the foundation of western civilization. Democracy, Theatre, Rational Thought, Logic, Philosophy, History, Trial by jury, the Olympics, Classical Art & Architecture, along with the foundation of modern medicine and scientific thought are a few of the most important achievements of ancient Greece. Athens was the epicenter of intellectual activity from the Bronze age until the Byzantine years. Most of these achievements have direct or indirect influence to our own way of thinking and living our lives. Athens was the only Mycenaean settlement that survived the mysterious rapid decline of all other cities of the era. The city continued its development through the Dark Age (1100-700 BCE), flourished through commercial activity in the Archaic era (700-480 BCE), and grew to become the envy of the known world during the Classical period (480 – 323 BCE). Most of the characteristics we identify with the foundations of western civilization originated or reached their apogee in Athens during the Classical period. It’s light continued to shine bright during the Hellenistic period (323-30 BCE), even as it was eclipsed in importance by other metropolitan centers of the era (Alexandria and Rome). Athens continued to be an important center in the Roman empire, but it slowly declined over the centuries during Byzantine times and the prolonged Ottoman occupation, only to emerge as the capital of Greece in the middle of the 19th century CE. At that time, Athens was a small town, but government incentives and policies elevated Athens to an economic engine for Greece after the 1960’s. Following the poverty-stricken postwar decades, rampant construction activity transformed Athens to the huge conglomerate of concrete and humanity we see today. Presently, Athens is the seat of government and the commercial and cultural hub of Greece, but its streets are full of evidence of its passage through history. Ancient, Byzantine and Ottoman ruins, museums, and landmarks are sprinkled throughout the amalgam of shaped concrete that make up the modern city. Let’s start with when it’s not the best time to be in Athens. Late June and July are the hottest months in Greece, and all the concrete that is Athens tends to retain and amplify both heat and humidity even at night. Combined with the smog from all the traffic they can make your days in Athens feel kind of “sticky”. August is equally hot and humid, but the city is practically empty because most Athenians go on holiday back to their ancestral villages. During this time, Athens becomes a ghost town and a very comfortable place to move about and enjoy both the city and the sunshine. Between June and August rainy days are very rare in Athens. 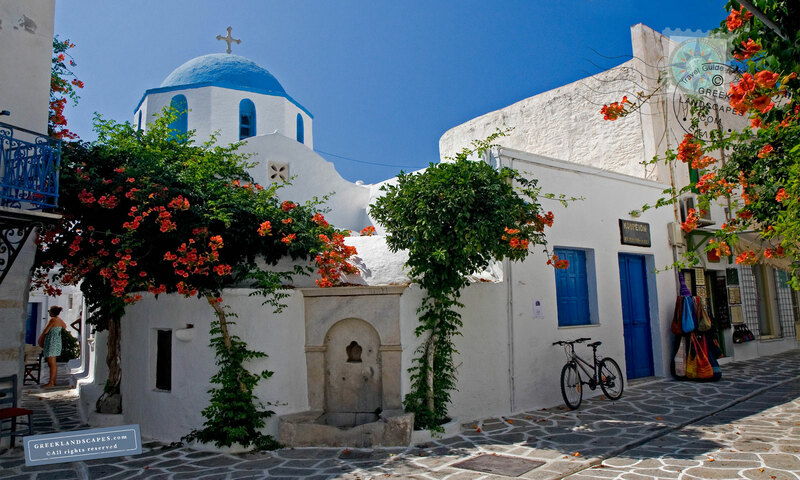 If Athens is just a short stop on your way to another destination or island, don’t sweat it. Your time in Athens will be memorable at any season. If you find yourself there in the middle of the summer heat, avoid being outdoors between 11 AM and 7 PM. At this time, its best to be in the cool rooms of a museum, or do as all Athenians do and retreat to your room for a long afternoon nap. It’s important that you adjust to the local rhythm of activity. Stores close between 1 and 6 PM (except the museums and tourist shops), the city comes alive after the sun has gone down, around 9 PM. It stays that way until the wee hours of the morning since there is no “closing time” for bars and night clubs. If you plan to spend a week or more in Athens, and you have the luxury of picking the best time, April and May would be best in terms of weather and prices. April and May are beautiful in Greece. You will still get the occasional rain showers, but most of the time the sun is shining, and the temperatures remain comfortable day and night. September and October are also a good time to visit in terms of temperature, but rain showers can be persistent after mid-September so plan and pack accordingly. Between November and late February you can expect bitterly cold weather. Most who have visited Greece only in the summer have a hard time understanding how cold Greece can get in the winter. But such is the beauty of the Mediterranean climate that you get to experience each season in its distinct beauty: very hot summers, very cold winters, amazingly pleasant springs, and wet fall seasons. Don’t expect to see much snow around Athens in any seasons, but do plan for the temperatures to hover a few degrees above freezing most of the winter days. Even through the cold days the sun is usually shining in the sky so you won’t get the depressing gray cloud cover customary in north America and Europe. Athens airport is a small affair compared with other modern international airports. It was build right before the 2004 Olympic Games, it has only one terminal, and it’s very clean and functional. Barring any security or check-in delays, you can expect to get to your gate in less than 5-10 minutes. Airline counters open about three hours before a flight and you have to watch the announcement boards to see which counter servers your flight. Certain airlines have automated check in machines where you can scan your ticket and pick your seat. You still have to wait in line to check in your luggage though. You will find money exchange machines in the lobby, and luggage carts are lined in in automatic dispensers outside the airport (one euro). There is a small museum upstairs, and to your right as you enter through the main departures gate. It exhibits artifacts unearthed during the airport construction. They range in age from 3000 BCE to Byzantine years. This little museum is probably the most quiet spot of the airport, and it’s not unusual for passengers with long layovers to unroll their sleeping bags for a nap around the museum. It’s not an official camping area, and it is probable that security might ask you to move on. Waiting areas have comfortable seating, even though some gates get really crowded, most chairs don’t have arm rests, so it’s possible to lay down if desperate. Once you check in, there is a small shopping area with several newsstands, cafés, restaurants, and a few shops before you pass through the passport and security checks. Beyond passport control you will enter the transit/duty-free area where there is a plethora of restaurants and places to have a coffee. At the gates shopping is limited. Some gates have a kiosk with snacks and water (which you can take on your flight), and some have just vending machines with water and soda so keep some coins handy in your pocket. There are clean bathrooms everywhere, and the quieter and less busy ones are closer to the gates. Internet access via wifi at the airport is spotty. There used to be free Internet everywhere, but now you have to sign up for the service if you don’t have your own data access through your cellphone. Athens airport is pet-friendly. If you travel with a pet and you need an area for your pet to do it’s “business”, you will find some limited grassy patches right across the “arrivals” exit at the lower level. If you are in the Departure area, take the stairs to the lower level (the Arrivals area) and walk out across the two way street. If our plan to get your VAT refund for purchases you made in Europe as a non-European citizen, you need to head for the Customs office (also labeled VAT Refund). The office is before the passport control so don’t go through the checkpoint. VAT can be around 24% of the price you paid at the store, so getting the refund is definitely worth the extra effort to recoup that money. Note that it is not an actual “refund” place, but simply a place where you can stamp your receipt for your purchases. You present the items you bought (must be over 150 euro worth and it must not be used while in Europe), your receipt, and your boarding pass. The customs agent will stamp your receipt and then you can mail it in for your refund either by check or straight to your credit card. We have seen long lines at the VAT office during peak times, so get to the airport early. Ask the shop when you buy your items for instructions on where to mail your stamped receipt. If you fly out of Greece but you make another flight connection before you fly out of Europe, your receipt must be stamped at that final airport before you exit the continent. Taxis are stationed outside “arrivals” in the lower level of the airport. You have to wait in line and take the first taxi that pulls up. Keep in mind that all taxis in Greece are mid-sized cars and if you have too many pieces of luggage you might need to hire a second one, although most taxi drivers get very creative with the way they can stuff the suitcases in the trunk. Make sure the taxi driver starts the meter as soon as you start your trip, and be aware that there will be several fees added to the final fare (airport fee, excessive luggage fee, etc) – all posted on a list that’s displayed in front of the passenger seat. If you have to drive and park at the airport, you will access it via the Athens “beltway” called Attiki Odos. It is a toll, multi-lane road (toll rates 2.80 Euro) that gets congested only during rush hour traffic. In normal traffic, the trip to the airport by car takes about about half-hour from the center of Athens or from the port of Pireas. Click here to see it on the map and to get directions in a new window. Very rarely passengers will arrive at Athens via boat or cruise ship. In that case, your boat will dock either at the ports of Piraeus, Rafina, or (rarely) Faliro. From Rafina you would need to hire a taxi to take you into Athens. It’s a half-hour drive but it can take double and triple that time if you encounter traffic. From Pireas, you can catch the HSAP train at the Pireas station that connects with all the Metro lines, so you can easily reach the center of Athens. Depending on the location of your ferry, you might have to walk a long way to get to the station. The boats that connect with the Dodekanesse islands and Crete dock far away from the station, and you might want to take a five minute taxi ride instead of a twenty minute walk in the heat. Other boats dock much closer to the station so walking to it should not be an issue. If you arrive to Athens by bus you will get off at the main station, most likely the one at Kiffisos. From there, the best way to get to your final destination without getting lost in the labyrinthine public bus schedule, is to hire a taxi. There is a long line of taxis waiting for passengers in the station. Wait in line and take the first taxi at that station (it’s illegal to flag a taxi that’s not in that line). If you are leaving for a destination via bus from Athens, you will still use the same station, and the best way to get to it from your hotel is also via taxi. Once at the station, you need to find your bus line. It’s a small bus station but if you have luggage it would be best for one person to wait at a spot with all the luggage while another walks around to find the bus. Allow some time to get to the station because bus departure is punctual and Athens traffic might prevent you from reaching the station in a timely manner. The bus station itself is not built to cater to tourists. The intercity buses are the main mode of transportation for ordinary Greeks and you will actually get a taste of “real” Greece just by hanging out at the station. It’s a safe place with ample police presence who perform random ID checks (mostly looking for illegal immigrants) and very rarely luggage checks. There are many kiosks that sell drinks and snacks all around the station, and a main ticket and eating building at the far end. The restrooms are located at the basement of that building, and are to be used only in dire emergency. It is possible to buy tickets on the spot (at the ticket counter) but in July and August you should book your bus trip ahead of time because seats are sold out more often than not. Tickets are usually a bargain compared to other modes of transportation, so bus hopping around Greece could keep your entire vacation under-budget. You will have to check you luggage. Right next to the parked bus that you plan to travel with you will find a scale and someone who can weigh it, tag it, and put it in the bus stowaway area. Stay with your luggage at all times and note which side of the bus it has been stowed so you can easily get it when you get off at your destination. You can take a small backpack in the bus cabin, but storage there is limited. Be aware that most employees of the bus station won’t be speaking much English (or any other language), and that’s especially true for the bus drivers and the luggage handlers around you bus. The main train station that connects Athens to the rest of Greece is much closer to the center of Athens than the bus station. It is well connected with the Attiko Metro (the Athens subway). As you exit the train station you will find plenty of taxis waiting in line for arriving passengers. Always wait your turn and take the first taxi in line. Trains in Greece are notoriously inefficient so not many tourists prefer to travel that way. To get to the northern Peloponnese from Athens you should use the Proastiakos train. For all other destinations, service is limited, so unless you travel to another major city like Thessaloníki, you’d be better off taking a bus as well. By far, the best way to get around Athens is by Metro (or Attiko Metro, or subway, or tube). It is safe, clean, punctual and connects all major areas of Athens with subterranean and open air trains. You can get around comfortably by Metro, by bus, or by tram where you can use the integrated ticket. In 2018 it cost €1.40 euro for a 90-minute ticket, €4.50 for a 24-hour ticket, or €9 for a five-day ticket after it’s cancelled) . You must cancel your ticket as soon as you enter the first mode of transportation and keep it with you at all times. 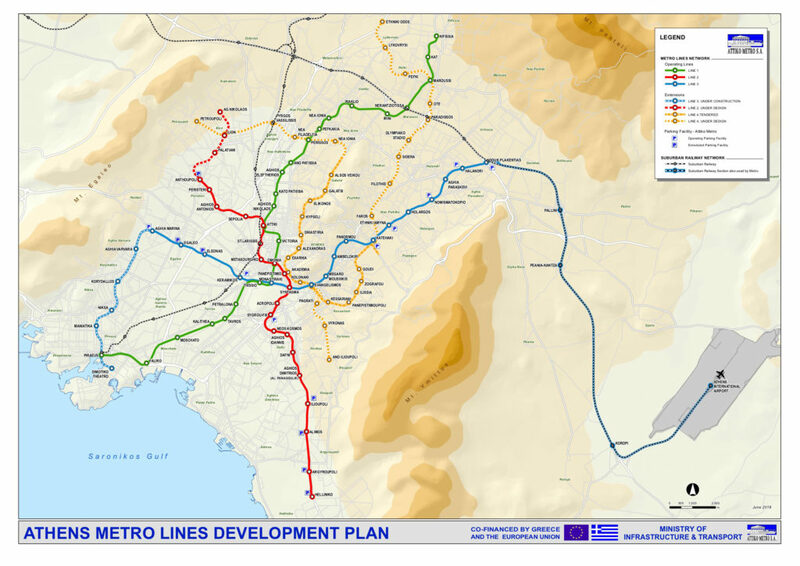 The Attiko Metro connects the center of Athens to the suburbs, and to other transportation hubs like the airport, the train station, and the port of Pireas. Each Metro station is adorned with the art of contemporary Greek artists, and in certain cases the subterranean station walls offer glimpses of ancient artifacts. For example, the Monastiraki station has an open area where one can see the ancient sewer pipes. The Syntagma station has on display a host of ancient artifacts, unearthed during the construction of the Metro station there, and a glass-wall with a representation of a subterranean cross-section with embedded artifacts and graves. The Acropolis station sports copies of the Parthenon sculptures. To get to places that are not served by the Metro lines, you can utilize the myriads of yellow taxis that roam around the streets of Athens. To flag a taxi, stand on the edge of the sidewalk, and raise your arm as high as possible with the intent of catching the taxi driver’s attention. The entire city of Athens is also served by a labyrinthine network of buses, trains, trams, metro, and trolleys. To find a route or a bus number, visit the Athens Urban Transportation Organization but be prepared for long searches. Better yet, use google maps to search for bus routes. Last, we advise that visitors never attempt to rent and ride a moped, four-wheeler, or motorcycle in the streets of Athens unless you like living dangerously. Traffic in Athens is notoriously bad and congested so driving in Athens is not recommended, especially since there are better alternatives. If you still must drive in Athens, it’s a complicated affair, so we created an entire page on the subject. Read more about driving in Athens. You will be bumping into eateries everywhere around the popular areas listed above, but you will find the most enchanting restaurants with views of the Acropolis in the Monastiraki and Plaka districts. Tip: Rooftop bars and restaurants around Monastiraki offer better views (and "selfies") of the Acropolis. The entire section of Adrianou pedestrian street that starts behind Monastiraki station and ends at Thesion metro station, is lined with cafeterias and restaurants sandwiched between ancient Athenian ruins and with good views of the Acropolis. Our favorite spot is MOMA restaurant. You don’t have to eat if you are not hungry. You can simply order a beverage, a small snack, or desert, and don’t forget to go to the bathroom downstairs. Yes, the bathroom! Not unlike several other restaurants in the area, the building that houses MOMA was built on top of ancient ruins, and you can see them under the glass floor of the basement bathroom. How is that for a unique experience? For fresh fish restaurants, take a taxi to the little port called Microlimano near Pireas where you will find many (pricey) fish tavernas overlooking the quaint fishing port. Microlimano (or Tourkolimano) has the feel and look of a Greek island port, and it’s lined with pricey fish restaurants but not much else. While Athens itself can fill a complete itinerary of exciting venues and things activities by itself, there are several trips worth taking around the capital. Around Attica you will find plenty of little towns and seaside resorts for day-trips, and of course a host of archaeological sites to keep you busy. From Athens you can make day trips to many interesting places like Sounio, Delphi, Mycenae, Corinth, and Epidaurus. Sounio is about one hour drive from the center of Athens through the coastal road and can be done in one afternoon or morning. It would take about 45 minutes to get there, and many visitors prefer to go in the afternoon to watch the sunset from the ancient ruins. There is a cafeteria where you can have a light meal or a drink with the moon over temple of Poseidon in your view. Click here to visit our Sounio travel guide. Tip: Keep the Sounio visit for you last night in Athens, and plan to watch the sunset from the Temple of Poseidon. It would be the perfect exclamation mark to your holiday! Other major archaeological sites near Athens, such as Delphi, Mycenae, and Epidaurus would require an entire, and really long day for a visit. These are extensive archaeological sites which require at least one hour for each visit, so our advice would be to only opt for a day trip if you have no other option. Otherwise, we would advise at least an overnight stay in Delphi and a three-day trip in the Argolis. Going to Delphi for a day-trip from Athens would make for a really long day, mainly because the road to Delphi is only partially highway, and the longest part alternates between rural and mountain roads. We would therefore recommend that you make Delphi a destination in itself for at least one overnight. But if you don’t have the time and you want to visit Delphi badly, your best options would be either with a hired ride, a dedicated bus tour, or a rental car. Public transportation would not be a good option unless you stay in Arachova or Delphi overnight, and there is no train connection with Athens. If you only have time to visit one archaeological site outside of Athens, the site at Delphi would be the best choice because it is historically important, the ruins are extensive, and the landscape beautiful. The Museum of Delphi houses some of the most important artifacts from ancient Greece. This would be another long day-trip, but if you want to see the ancient sites around Corinth, you can use the “Proastiakos”–the same metro line that connects the center of Athens to the Airport. Once you reach Corinth, you can get around with taxis. The biggest attractions of Corinth are the archaeological site and the spectacular Corinth canal that separates the Peloponnese from the rest of the Greek mainland. Mycenae and Epidaurus could be visited together during a long day trip if you are pressed for time. However, as we mentioned before a three -day visit would allow you to enjoy the multitude of sites and landscapes of the Argolis much more comfortably. If you opt for a day-trip, having your own wheels, and leaving Athens early in the morning would be best to visit both Mycenae first, and Epidaurus second. The road to Mycenae from Athens is mostly highway, and the archeological site has exactly zero shelter from the sun, the walking is mostly uphill, and it gets very crowded after 10:00 AM. So visiting and departing by mid-morning is a worthy goal. Epidaurus on the other hand has lots of tree coverage, it’s mostly on level ground, and more expansive, so the crowds would be an issue only on the theatre orchestra. The road back to Athens after visiting Epidaurus would take you through some rural landscape at first, and a scenic winding coastal road before you reach the highway near Corinth. For a more ambitious tour of the area, you could also visit Tyrins, Argos, and Nafplio which is a beautiful town with nice beaches near Tolo. If you do go to Nafplio, the Archaeological Museum of Nafplio is worth a visit. You can take a daily trip from Piraeus to the islands of Aegina (don’t miss the temple of Aphaia), Poros, Hydra, and Spetses. You can take a slow ferry there, but a “flying dolphin” (catamaran) will make the trip in a fraction of the time, so you can be back to Athens for dinner. All of these islands are excellent day-long destinations, but if you have the time you might want to schedule a day or two at Hydra island. There are several companies that offer daily cruises to the Saronic gulf islands. They usually leave around 7:00 AM from Faliro and sail to Aegina, Poros, Hydra, and then they return to Athens early in the evening. Some of these small cruise boats make a stop at Spetses after Hydra. The service varies from boat to boat, but it is usually a far cry from the cruises that sail the Aegean islands for three to seven days. You can expect to be packed among many, many passengers with nothing to do besides drinking. These day-cruise boats are a lot slower than the regular ferries and catamarans, but they offer you the choice of seeing several islands without the hustle of changing boats, and chasing ferry schedules. Click here to see Athens with our place marks on Google Maps, and to get directions in a new window. Map of Athens Metro to print.